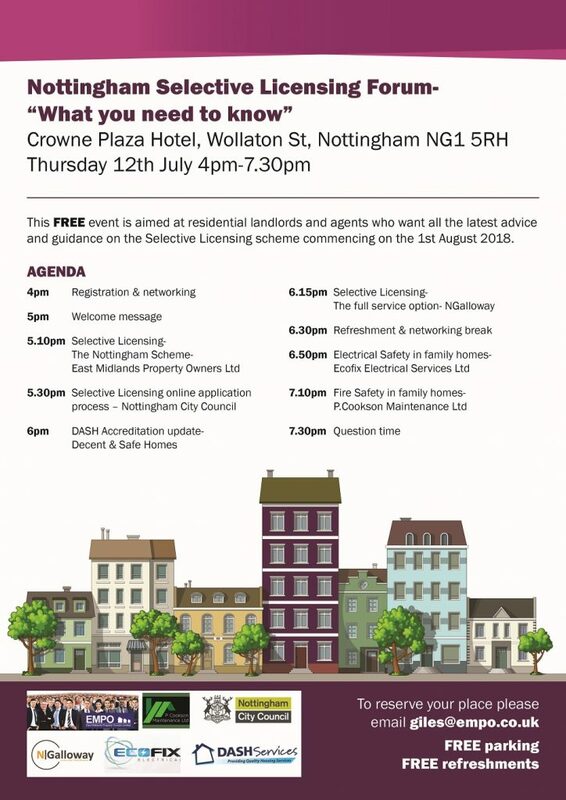 NGalloway to present at the Residential Landlord Forum being held at the Crown Plaza in Nottingham This will be the last chance to meet all stakeholders in the Nottingham Selective Licensing Scheme. 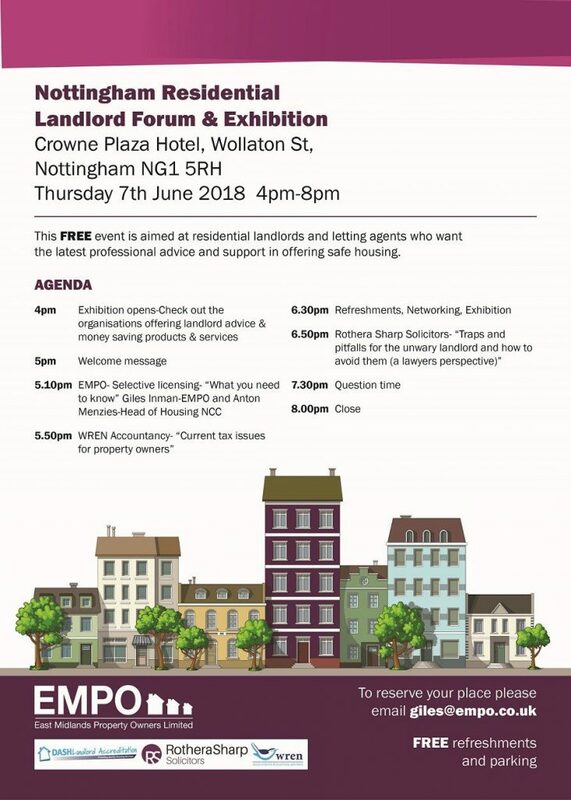 NGalloway to attend the Residential Landlord Forum being held at the Crown Plaza in Nottingham We are attending the EMPO Landlord forum on 7th June 2018 to talk with Landlords about the Selective Licensing Scheme in Nottingham. We offer a selective licensing management service for landlords.